Have a Pin suggestion? Let me know! this cute Christmas tree not-just-christmas"
The link to my pin was broken but thankfully this one was fairly simple and didn't really need instructions. The hardest part of this one was finding the damn blasted buttons! Sweet Jesus it took me forever! I ended up at 4 different stores before finding enough sizes. If you go out looking...ACMoore and Michaels have next to no buttons. Most of mine came from JoAnns. You'll have better luck at stores that focus on sewing projects not just crafts in general. Cut your twine about 9 inches. Thread on buttons buttons starting with the brown trunk. Then adding on the various green buttons playing around with the order until it looks right. Once you have the final green button in place tie a small knot in the rope. Next add on your star! Leave about 2-3 inches of twine then tie a knot making the look it will hang from then trim away the excess. Hands on time about 10 minutes. I made a couple little trees and thought I'd share one with yall! Just leave a comment to enter! What's your favorite Christmas decoration?! Do you ever make your own? Very cute! 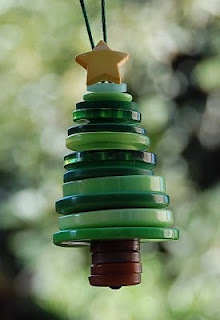 I will have to keep this in mind for a kids craft in December. If I tried to have them do it now they would think it was Christmas time and I wouldn't hear the end of it until December. Oh, I have to make some of these! So quirky! So cute. I just showed my 5 year old grandson and he can't wait to make them. This will be a fun project for my grandkids and I to do. Thank you. Aw yay! Definitely something fun to do with the grandkids! So easy and cute results. Hope yall have fun with it! My favorite Christmas decoration is things we have that I made when I was little, that's the only time I ever made my own. These are so cute! Thanks for the chance to win! Aw childhood ornaments are always so fun to look back on! This was the first one I'd made since I was a kid too. Still pretty fun to do! I love homemade ornaments!! My favorite is the one my mother in law made for our first Christmas together. She took our wedding program and tore it into pieces that highlighted specific words. She then Decoupaged the torn pieces like a collage onto a round ornament. We now have a momento from our wedding to hang on our tree. So cute! Well, my family and I make our own paint ornaments. You take a blank ornament (like the round balls) and open the top and add different colors of paint and swirl them around to make different colors and designs. A ton of fun! I love it! 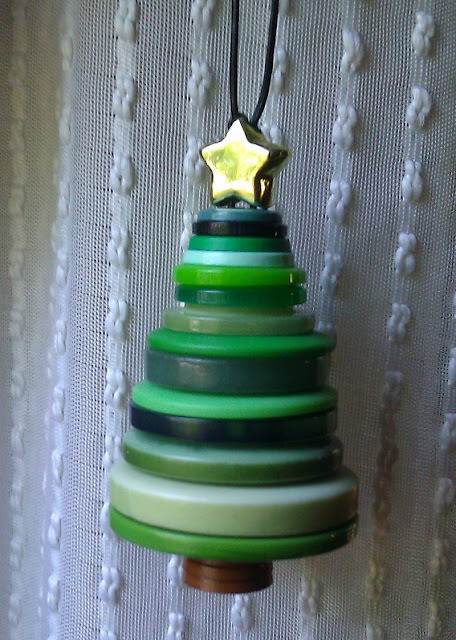 My son and I make ornaments and decorations every year. My favorite decoration is a picture my son made me in kindergarten. It's a pic of him in the middle surrounded by his handprints in the form of a Christmas tree. Love the handmade gifts the best! That is so cute! Used to make them with my kids when they were small. Nothing fancy just paper ones~easy. I am not good with my hands to make small oranaments. I would rather buy something someone else made. Thanks for the giveaway. I can so understand that. I tend to buy most of mine too. This was the first one I can remember making as an adult. I don't think I'd want to attempt anything smaller/more detailed. Cute! I'm SOOO not crafty. My faves are the ones my kids made me throughout the years. One of them is a small ceramic flat misshapen Santa one of my sons made in school one year...from his thumb print...I absolutely cherish it. I'm drawn to emotional reads. Even when I just know I'm going to cry I can't pass on a story. It's good to feel. The last tear-jerking read for me was Redeeming Love by Francine Rivers. I haven't heard of that one. Thanks for the recommendation! Did you pick a winner yet?? 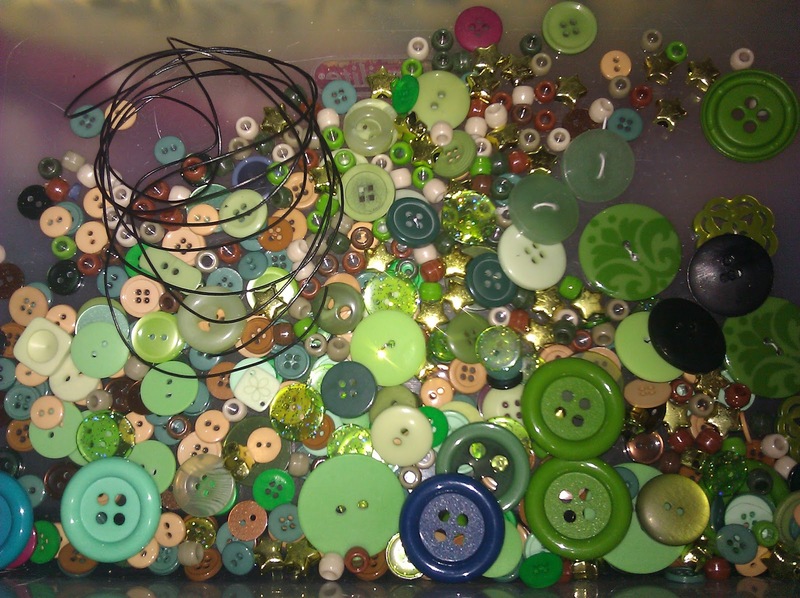 I love to use buttons in crafts!